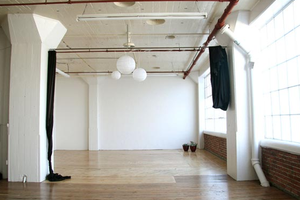 Located in a hot culinary area, full of food artisans and cool restaurant, this space is a creative event space. It can be used as a photo studio or for a variety of events. 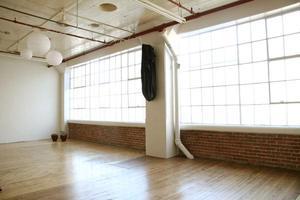 This space is perfect for corporate events, or private parties, photo/video shoots, executive meetings/off-sites, etc. This space has a full kitchen, lounge, and dining area plus large open floor plan, all of which are perfect for your event. 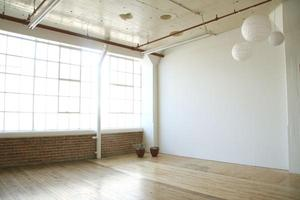 This space, which is on the top floor, has amazing light. 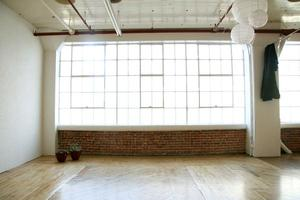 The entire north wall of the space is 44’ of diffused window light. Plus, it is the epicenter of a culinary explosion of artisan food purveyors and cool restaurants. Features of this space include a full kitchen, bathroom, storage space, freight elevator, and close access to loading docs large enough for 3-4 small semi-trucks/delivery vans, etc. Most furnishings are already on-site, including a conference table, sofa w/coffee table, WiFi, etc. After hours rentals involve additional fees (such as doorman of your own choosing), and for group/event rentals, a cleaning fee will be added. There is a conference table with 6 chairs. There is not a a projector on-site.